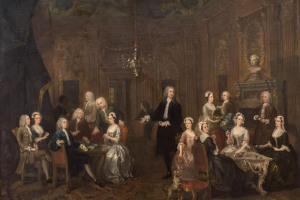 The Wollaston Family painted by William Hogarth in 1730 has been at New Walk Museum & Art Gallery for the last 75 years but to keep it in Leicester we need your help to raise £16,600. 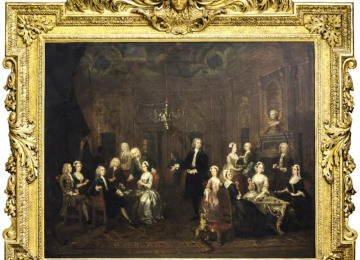 The Wollaston Family of Leicestershire were painted in a group portrait by William Hogarth. The painting was passed down through the family before being loaned to New Walk Museum & Art Gallery. It has been enjoyed by generations of gallery visitors ever since, but now it could be lost to the people of Leicester if we don’t purchase it. This would be a monumental loss to the UK’s art heritage and to the millions of visitors who have enjoyed having it on free public display here in Leicester. 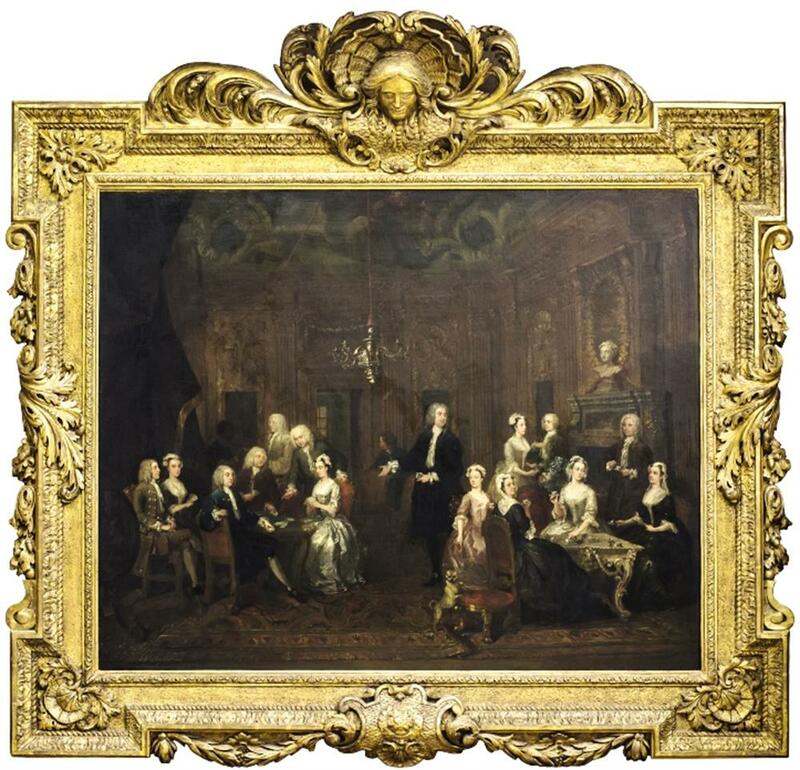 The family are offering the painting to the nation in settlement of inheritance tax, and the City of Leicester Museums Trust has the unique opportunity to acquire it, but we need to raise the funds by 28 Feb 2019. 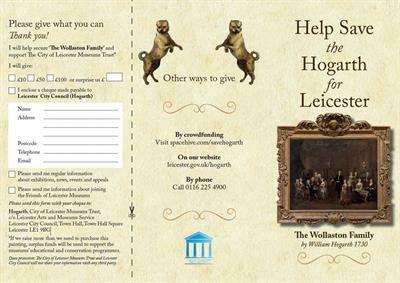 The City of Leicester Museums Trust need to raise over £550,000 to save Hogarth’s Wollaston Family. We are applying to external funding bodies, but cannot raise the whole amount without your support! Please help us to reach our public donations £16,600 target by getting involved. 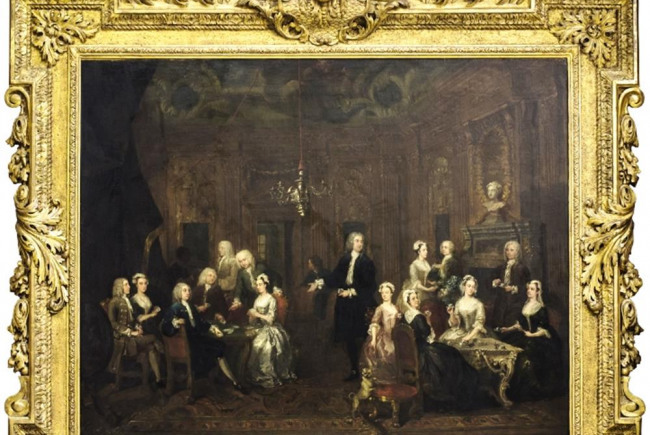 Purchase Wollaston Family by Hogarth for the people of Leicester. To improve display and educational materials in relation to the work. Any additional funds will be used to help conserve and display this and other works in the museum’s collection. 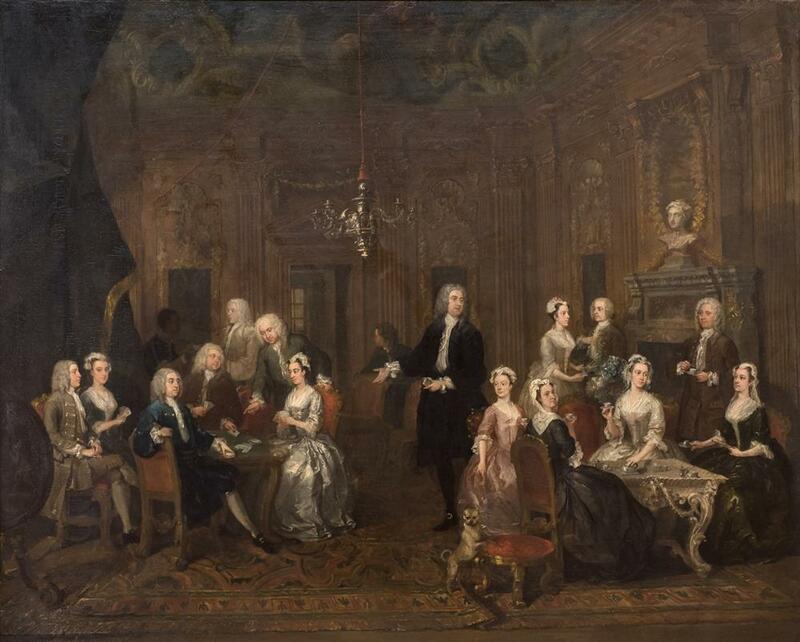 Hogarth’s painting of the Wollaston Family is one of his most ambitious early works, seventeen individual portraits of men and women relaxing in a sumptuous interior; and while draperies in the room show that the house is in mourning, the mixed company indulges in conversation, in cards and tea. 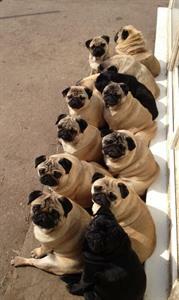 And; a typical Hogarth touch, in the foreground, a mischievous little pug looks straight at the viewer. The lion’s share of Hogarth’s paintings on public view in the United Kingdom are found in London’s national museums and institutions. Of the three dozen or so Hogarths in the UK provinces, few paintings, if any, exhibit the unique combination of date, size, quality and quantity of subjects seen in the Wollaston piece. The City Leicester Museums Trust need to raise over £550,000 the risks of not raising funding are significant: It could be sold at auction to the highest bidder; It may not stay in public ownership; possibly not even in the UK. Please help us Save the Hogarth for Leicester. Should we be fortunate to raise more than our target, any additional funds will be used to help conserve and display the painting and other art works in the museum’s collection. Since 1943, we have had the painting on loan, it is an oil painting of regional, national and international significance. Original frame, designed by William Kent (1684-1784). 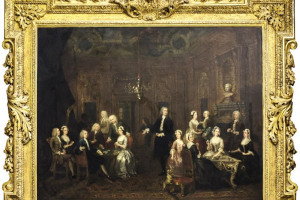 The portrait represents the family interacting according to the ideal of ‘politeness’, a milieu in which older, rural, aristocratic families mingled with more urban and commercial people who saw themselves as being at the heart of contemporary culture and coffee house society. 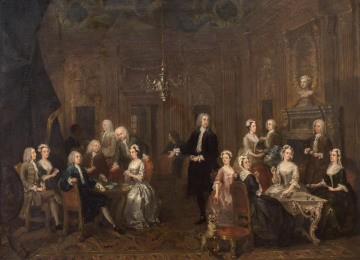 In Hogarth’s hands the concept of ‘politeness’ is given a tender and intimate feel – we are witnessing a family who are interacting with liveliness and affection, adopting a frame of politeness understood by an 18th century cosmopolitan audience. The exquisite Baroque interior is thought most likely to be the family’s London residence. The crowdfunding campaign was not successful but it was also only a small part of the £565k fundraising campaign. If you would like to make your donation directly via www.leicester.gov.uk/hogarth it would be greatly appreciated and would be used to conserve, clean and present the work for future generations to enjoy. With just 11 days to go, we need to raise just 6.8% of donations total a day to save the painting... If we do not hit the target this campaign will not take any funds from your account. Donate today! This project is enabled for overfunding. If the project hits its funding goal before the end of the campaign period, any extra funds raised will be spent (in order of priority) on: Should we be fortunate to raise more than our target, any additional funds will be used to help conserve and display the painting and other art works in the museum’s collection. 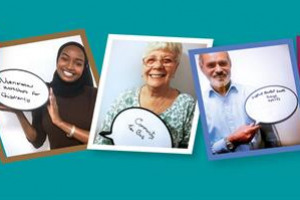 The trust manages and administers money collected through museums donation boxes, private donations and bequests, using funds to purchase items for the collections. Through the generosity of visitors, COLMT has contributed over £200,000 in the last two years towards the museums and galleries' collection. We support five museums across Leicester. Together they offer a rich resource for everyone to learn, be inspired and entertained. They house a large number of objects and artefacts across a wide range of subjects and disciplines. They have a selection unique and historic rooms available for weddings, parties, meetings and functions. They provide information for schools and other groups including an active learning programme at the museums. They host a wide selection of events, talks, concerts and performances that happen throughout the year. And they couldn't do half of it without your volunteering, donations and miriad of ways that you support our work. 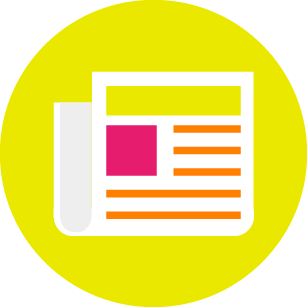 Project Delivery Manager: City of Leicester Museums Trust The Project Delivery Manager takes legal responsibility for receiving and spending the funds raised and ensuring the project is delivered.